One pipeline company rewards investors with a 70 percent total return the year after it restores regular distribution growth; the other’s unit price falls by almost half after it guts its payout by more than 80 percent. Both are master limited partnerships (MLP) operating in an industry with a history of stability, but had failed to earn their distributions for several quarters. And as a result, both had suspended long-held policies of regular quarterly distribution increases. Both MLPs own and operate natural gas-related assets that have lost value and have bled revenue from expiring contracts. And both had underperformed other MLPs for months. Buckeye Partners LP (NYSE: BPL), however, found a way around its troubles. As a result, its shareholders are huge winners: The partnership’s total return tripled a robust 2013 gain by the Alerian MLP Index. Not so with Boardwalk Pipeline Partners LP (NYSE: BWP). And its surprise demise has fired up the chatter that other MLPs’ high payout policies in general are unsustainable. The bears’ pronouncements aren’t finding their mark as they did this past summer, when Hedgeye abetted by Barron’s spread ugly rumors first about Linn Energy LLC (NSDQ: LINE) and Kinder Morgan Energy Partners LP (NYSE: KMP). That’s probably because of the thrashing short sellers have taken in Linn Energy over the past several months. Boardwalk Pipeline Partners’ blowup, however, will cause investors to shy away from some of the best opportunities for big gains in the now five-year-old bull market for MLPs. Buckeye Partners wasn’t the only MLP that scored big gains last year after restoring regular dividend growth. Energy Transfer Partners LP (NYSE: ETP) and Regency Energy Partners LP (NYSE: RGP)—MLPs that share the same general partner Energy Transfer Equity LP (NYSE: ETE)—also topped the Alerian MLP Index’s gains by doing the same. Distributable cash flow had repeatedly failed to cover distributions in recent quarters. After raising distributions for 30 consecutive quarters, management suspended regular increases in July 2012. The partnership faces a series of large debt maturities, starting in early 2015. Expiring contracts on the MLP’s long-haul gas pipelines and storage assets set the stage for a massive revenue crunch. In When MLP Distribution Growth Starts and Stops, we cited each of these challenges as reasons why Boardwalk Pipeline Partners was unlikely to emerge as a legitimate turnaround story. 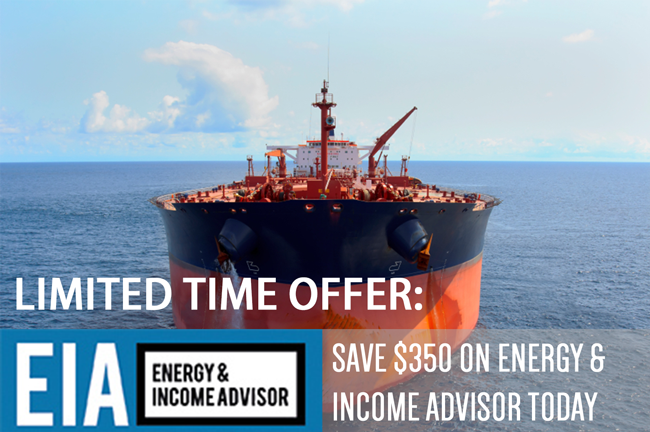 This article, available exclusively to Energy & Income Advisor subscribers, handicapped the odds for 14 other MLPs to raise their distributions after extended fallow periods. In our estimation, Boardwalk Pipeline Partners had one saving grace: well-capitalized conglomerate Loews Corp’s (NYSE: L) 59 percent ownership stake in the MLP. Loews, however, elected not to provide the requisite support for Boardwalk Pipeline Partners to pursue growth opportunities and maintain its distribution. Th biggest lesson from Boardwalk Pipeline Partners’ experience: every MLP in your portfolio should be able to stand on its own merits. What doomed Boardwalk Pipeline Partners while other chronic underperformers such as Buckeye Partners were able to right the ship? You won’t find the answers to these questions by resorting to the usual platitudes. For example, several mass-produced investment newsletters tout the idea investors can separate “good” and “bad” MLPs by focusing on one or two numbers, usually the coverage ratio and the number of consecutive quarters of distribution growth. Investors must put these metrics in the proper context for them to be useful. An MLP may fail to cover its distribution in a given quarter or even raise the payout despite a shortfall, provided that management has confidence that future operations will generate enough cash flow to bridge the gap. In these instances, the coverage ratio may vastly overstate the risk to the MLP’s distribution. Selling based on that number alone will take you out of solid positions for little reason, very likely with a tax liability. Conversely, a seemingly comfortable distribution coverage ratio can narrow in a hurry for a more cyclical business. A record of consistent distribution growth is usually a good thing. But it’s also hardly a guarantee of safety and stability. Just ask unitholders of EV Energy Partners LP (NSDQ: EVEP). The natural gas-focused producer has raised its distribution every quarter since its initial public offering in September 2006. The MLP’s last 21 increases, however, have been for $0.001 per unit–an annualized growth rate of barely half a percentage point. Meanwhile,the stock has given up about 38 percent of its value over the past 12 months, hit by weak prices of natural gas liquids and disappointing results in the Utica Shale. Debt levels are another important consideration for any dividend-paying stock, particularly when there’s the possibility of an imminent increase in capital costs that revenue may or may not support. But again, there’s no magic number to warn investors of impending disaster. What ultimately sank Boardwalk Pipeline Partners and fueled Buckeye Partners’ comeback lies beneath the numbers. In Boardwalk Pipeline Partners’ case, management could have chosen to cut distributions less drastically and spared investors such a bloodbath. But the root cause of the partnership’s demise its failure to diversify its operations away from long-haul pipelines made obsolete by surging production from the Marcellus Shale and other unconventional plays. Boardwalk Pipeline Partners’ long-term capacity reservation agreements with customers insulated the MLP from these headwinds for a time. But even long-term contracts (one of the most imprecise, overused terms in the MLP space) come to an end eventually. And the MLP and its sponsor never moved to replace this lost cash flow with new projects. Similarly, Buckeye Partners stopped raising its distribution in 2012 because of weak results from newly acquired assets and the bleak outlook for its natural-gas storage assets in California. But unlike Boardwalk Pipeline Partners, Buckeye Partners moved aggressively to diversify its operations and cash flow, adding a number of liquids storage and transportation assets via acquisitions and organic-growth projects. This month, the MLP took a $169 million charge to eliminate its remaining financial exposure to its ailing storage business and will divest these assets fully by year-end. The difference between Buckeye Partners and Boardwalk Pipeline Partners, in other words, boiled down to management understanding its market and executing strategy. Buckeye Partners worked hard and succeeded. Boardwalk Pipeline Partners’ management sat on its hands until it was too late. The MLP’s new strategic course may eventually result in a stronger company–but any potential turnaround is difficult to envision at this point. Find out the lay of the land. What are the headwinds facing an MLP’s various assets? Learn what management’s strategy is for dealing with these challenges. Is it being proactive like Buckeye Partners or reactive like Boardwalk Pipeline Partners? Regularly assess management’s progress in the MLP’s quarterly results. Looking at distribution coverage and other financial metrics comes into play in the third step. But the most important thing isn’t necessarily the bottom line figure; it’s whether a broad set of facts are in line with the guidance management has given for progress. If they are, recovery is on track and we have a potential Buckeye Partners. If not, odds are tilting toward a possible Boardwalk Pipeline Partners and it’s time to get out. Real investing success is never easy. It wasn’t easy to be bullish on Buckeye Partners in 2012. And after the distribution cut at Boardwalk Pipeline Partners, it’s going to be more difficult than ever to bet on the next Buckeye Partners. But rest assured, these winning turnaround stories are out there and ready to reward the intrepid with gains that will again outstrip the Alerian MLP Index by a wide margin. And what’s more, today’s top candidates are cheaper than ever compared to the average MLP. The next Buckeye is there for the taking—but only for investors willing to delve a little deeper than the average bear.